Had the chance to do an interview on ‘The Cube’ … on VDP, VMware backup and other stuff from VMworld. I’ve written a lot about the security skills shortage but it is worth reviewing a bit of data here for context. According to ESG Research, 55% of enterprise organizations (i.e., those with more than 1,000 employees) plan to hire additional security professionals in 2012 but they are extremely hard to find. In fact, 83% of enterprises claim that it is “extremely difficult” or “somewhat difficult” to recruit and/or hire security professionals in the current market. Critical skills deficits. Along with the shortage of staff, many organizations report that their security staff lacks skills in critical areas such as network security, cloud computing/server virtualization security, mobile device security, and security analysis/forensics. Security staff time management. Large organizations indicate that one of their biggest problems is that their security professionals spend an inordinate amount of their time putting out fires. This limits the time for other more proactive security activities. Security tools complexity and lack of automation. Security vendors built tools rich in feature/functionality and designed for customization. Unfortunately, many large organizations don’t have the time or staff necessary to fine-tune them or develop expertise in their use. Video Blog: What's New in Virtualization at VMworld? VMworld continues to be a fantastic industry trade show, and it acts as a central rallying point for the IT community. Many of the attendees share that VMworld is the only event they are able to attend during the year, and they tend to use the time wisely by attending sessions, going to popular hands-on labs, and browsing the expo floor. One of the more interesting announcements (to me) at VMworld this week was the introduction of vSphere Data Protection (VDP) within vSphere 5.1. Even though it is not branded within the UI, it is essentially EMC Avamar (lite) – and that is not a bad thing (for most people). With the cast from Stomp drumming up the audience to start the day, Paul Maritz took the stage for the last time as CEO as the torch was handed over to Pat Gelsinger. Although Pat said that he would continue with the same strategies that Paul had put in place, he very quickly announced that the vRAM pricing - aka vTAX - was being killed and they would return to a simplified pricing structure. This was met with raucous applause. For the next four days, I will be living and breathing four letters – VADP. Introduced in vStorage 4 through today's vStorage 5.1 … the VMware-parts of my brain revolve around the VMware APIs for Data Protection (VADP). 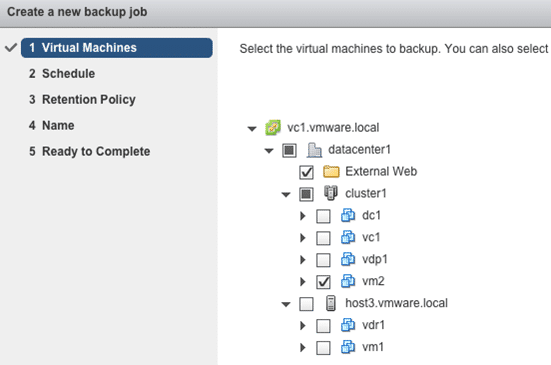 VADP is a big part of what enables Vmware configurations to be backed up and (hopefully) recovered. IBM today (August 27, 2012) announced that they will be acquiring Kenexa for $1.3B. Kenexa has been around some 25 years in the human resources management software arena. They help companies to manage recruitment, hiring and retention of employees. A couple of things immediately jumped out at me when I saw this. Security continues to be a major hurdle for server virtualization and cloud computing so we are likely to hear a lot of cybersecurity buzz coming out of VMworld this week. Why wait til year-end for a recap? It’s been a head-spinning time for e-discovery acquisitions, and by December we’ll all be too busy prepping new announcements for LegalTech to worry about the last year anyway (or is it just me?). Since the announcements for ILTA 2012 are embargoed until Monday (and the best gossip won’t emerge til happy hour), let’s examine some recent news impacting the space, in the context of what to look for at the show. Most folks know that if I wasn’t a backup-guy, I would be a virtualization-dude. So, when those two topics collide, I’m a happy IT guy who probably has an opinion or suggestion (or two). VMworld 2012: Has VMware Peaked? IT is funny. They want all the features, functionality, and richness of software, but no one seems to want to pay for it. On the flip side the licensing models, schemas, and tracking methods require a full time job in some cases just to make sense of the complexity and make sure the licensing police are not going to come knocking on your door. The technology industry is about to come together next week for VMworld in San Francisco. In the span of a few short years, this show has become a real showcase of the latest and greatest IT technology and industry vision. At VMware, every company wants its IT department to look like Amazon, Google, or Zynga, running applications on fully-automated and orchestrated cloud computing platforms, and easily managing thousands of servers and petabytes of data across multiple data centers. With VMworld 2012 right around the corner there are numerous announcements flooding the market. One of the more interesting ones to track is what Dell is doing with desktop delivery. 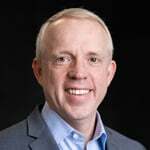 It has obviously invested a decent amount of change here with the acquisition of Wyse and Quest Software and is starting to line things up for its customers. I think Dell is an underrated performer in this space. The market focus seems to always be on VMware, Cirtrix, and Microsoft, but I think Dell has more than one trick up its sleeve. Dell hardware, which includes Wyse endpoint, EqualLogic storage, and its server line, is just part of the story and perhaps the least important. There is still a software side of the story with IP from Quest Software and Wyse that has yet to be integrated into its offerings. When it does, be sure that it will light up the market and customers should see great benefit from it. One of the challenges with desktop virtualization and specifically VDI is its complexity. Executing and managing desktops centrally has great benefits, but the IT architecture and implementation path can be daunting for many IT organizations. Citrix is out to solve this exact dilemma with VDI-in-a-Box. VDI-in-a-Box offers some of the same capabilities of Citrix XenDestop in a simple, easy to consume package leveraging off the shelf x86 server hardware. Citrix just announced version 5.1 with additional features that included personalization, proactive monitoring, and early capabilities with Windows 8. IT Organizations are realizing benefits in terms of efficiency, cost, time, and resources by moving from the traditional DIY (do it yourself) approach to virtualizing their environments, to an approach that leverages integrated and turnkey solutions. SimpliVity’s OmniCube solution makes it easy for organizations to make the shift from a complex to a simple infrastructure, enabling them to simultaneously improve the management of their virtualized environment while dramatically simplifying their infrastructure. Is an integrated platform designed for virtualization and aimed at improving and simplifying infrastructure required in a virtualized environment. Builds virtualization in at the server layer with a common hypervisor and a storage layer that delivers the data management functionality, performance, protection, and capacity required in a highly virtualized environment. Turns IT infrastructure into invisible, manageable hardware where operations and information are managed on a per VM basis and the infrastructure responds as it should. Provides an ideal IT building block comprised of server , storage, and network resources in a scalable 2U form factor. Uncovers newfound means of capacity optimization, data mobility, caching, WAN optimization, and global data tiering. Leverages standard x86 hardware and has a custom hardware card for each node to offload and accelerate processing. Integrates with existing virtualization infrastructure investments. Allows a single administrator to globally manage any number of OmniCubes, anywhere, all on a VM-basis, from a single pane of glass: vCenter. OmniCubes are deployed in a network of two or more, called the OmniCube Global Federation which provides the means for scalability, efficient data transfer across data centers, and high availability within the data center. While ESG Lab has not formally tested and analyzed the OmniCube, we were impressed during a product demonstration with its ability to provide efficient data movement, resource sharing, and seamless scalability in a compact form factor. The OmniCube is built with the VM administrator in mind and immediately enables VM admins to shift their mindset to higher value tasks with the confidence and trust in deploying IT infrastructure that is designed to perform well in a highly optimized fashion. 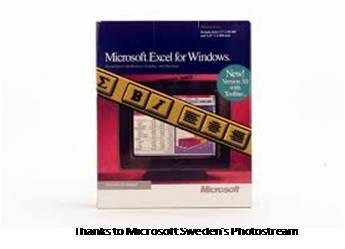 Go back over two decades and the number one analytics "client" software was Excel. Excel first supported enhanced charting in Excel 3.0 way back in 1990. Go back over one decade, and despite the onslaught of the Web, Excel maintained its position as premier analytics client software, this time enhanced with pivot table capabilities available in Excel 2000. In the recently-published ESG Research Report, Security Management and Operations: Changes on the Horizon, ESG surveyed 315 security professionals working at North America-based enterprise organizations (i.e., more than 1,000 employees). I mentioned in my the-announcement-olympics-hp-skyera-and-violinsymantec-start-things-well/index.html" target="_blank">last blog that we were entering a period that I have dubbed the storage vendor Olympics. And the couple of days since that blog have brought a range of new news. I don’t think many people in the storage world would disagree with the idea that the two ‘megatrends’ in the business over the next few years (and arguably, now) are the move to increased usage of silicon storage (flash, solid- state storage, call it what you will) and – often hand-in-hand with that move – an increasing reliance on software for storage management and orchestration. Now, not for one moment am I suggesting that the walls of HDDs and modular storage systems are tumbling any time really soon….but the writing is more clearly on the wall every day. What is this C*, yet another derivative of the C programming language? No, C* is the insider's short-cut for Cassandra, the Apache top-level open source database project that has gathered enough steam to draw over 800 attendees, up from 125 two years ago, last week to Santa Clara for the third annual Cassandra Summit, hosted by DataStax. Here's a nice synopsis of the summit. For those of you not yet initiated, however, what follows summarizes the open source Cassandra movement and the DataStax commercially supported version of Cassandra. While many organizations have relied on data center connectivity to ensure site-to-site communication and support disaster recovery, the ability to create a multi-site layer 2 network that is simple to operate and that supports growing multi-tenant environments can create significant challenges, such as managing multiple data center networks (DWDM, MPLS, and IP), high costs, and deploying the appropriate technology to enable these connections. What's Driving Enterprise Security Strategy? ESG recently published a new research report titled, Security Management and Operations: Changes on the Horizon. As part of the survey, ESG asked 315 security professionals working at enterprise organizations (i.e., more than 1,000 employees) to identify the most important factors driving their organization’s information security strategy in 2012. The new world of applications – personal, office, or enterprise – is inextricably tied to mobile. Users insist on being able to access their applications and data at the time and place of their choosing. The new realm of the Social Enterprise mandates mobile access to allow full participation in collaborative endeavors. Recent ESG research found that 88% of organizations that have deployed social collaboration or communications tools think that mobile access is either important or very important. That’s not surprising since collaboration requires that that one be connected to others and that can’t happen when there is no access to the collaboration platform. There are two ways that most vendors deliver applications and data to a mobile platform. They either construct a native application specifically for the device or write a Mobile Web application, usually based on HTML5, that provides a rich user experience in the mobile endpoint’s browser. Mobile Web applications have the advantage of portability. You can access the application from a smartphone, laptop, desktop, or tablet without using different applications. For a developer, changes can be made to the product without having to push out application updates, an important factor for cloud software companies. More than anything else, Mobile Web means that there is one experience and one piece of software for all platforms of the same type. There might be a different presentation of the application for a smartphone than for a desktop, but it will be consistent across all smartphones. 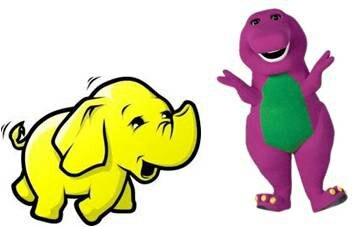 In theory, one of the appealing aspects of Hadoop is that one can use commodity servers with DAS to inexpensively and rapidly spin up clusters. However, if you have invested in storage management, and have concerns about compliance, availability, governance, and information management, you might not find the Hadoop barebones approach appealing whatsoever. Well, for just a moment there (it lasted from late Sunday night until early Monday morning!) I thought I had my life back….Bob Costas had said good-bye from London, the Olympic flame had been extinguished, and the medals were flying off around the world. Little did I realize that the storage industry was about to embark on its own Olympic-sized announcement effort. I have moved from the sofa to my desk, but I'm just as trapped and just as entranced! In much the same way that the TV coverage promised a smorgasbord of athletic delights, I can tell you that, based on what I already know, the next few weeks will contain a plethora of product revelations….it seems that everyone from the ingénues of the business to some of the elders has something coming out. And before I drop the Olympic theme, you can be sure a few records will be set, there’ll be both solo and team efforts, and – whatever else some theory may state – winning matters! I am going to try to cover these ‘Vendor Olympics’ over the coming weeks by giving you just the positions and highlights: unlike NBC’s coverage of the other, real, Olympics I won’t be giving you background life stories of the tough times developers went through with Cobol or dual-pathing, nor will there be a lengthy digression on World War Two (what was that!?). Nor will I have late night comedians creeping into my commentary [for Monty Python ‘dead parrot’ sketch aficionados, can you imagine John Cleese turning up: “This solid-state is no more, it is no longer spinning, it has shuffled off its electrical coil, it is an ex-rotator…it is an SSDead”!]. OK, I have digressed far enough. To make a long story short, we’re headed into a busy storage announcement season. Monday kicked off with, among other things, a trio of very interesting announcements from (alphabetically) HP, Skyera, and Violin/Symantec. Each in its own way adds brightness to the light that shines on the changes that are here – and accelerating – for storage. Succinclty this can be stated thus: the storage world is more and more about software, and the underlying media (you still need some!) will be increasingly silicon (at least for active data) instead of rust. If you haven’t had a chance to look at or even try out Windows 8 Metro applications, you should. I have been running Windows 8 for a few months and while most of the applications on the Windows Store are good demo apps and lack some functionality, the platform is extremely promising. Microsoft has some real interesting market timing with the onslaught of tablets, smartphones, and a Windows OS refresh. If Microsoft can ignite the developer community, they have an awesome opportunity to infiltrate the business marketplace. They have already built a developer and partner ecosystem team comprised of thousands of people that have held ~5,000 Windows RT app workshops and claim to have trained over 200,000 developers. There are a few stars aligning that are about to make application and desktop delivery an interesting task for IT. While I was taking some time off last month, EMC announced NetWorker 8 – and one of the things that I caught up on was a neat video celebrating the legacy of NetWorker from 1988 through 2012.